Silicon Rubber Electrical Wire: Resistant to acids, oils, alkalies, moisture and fungus. 1. Tin or nickel plated copper wire, stranded conductor. 2. Colors: transparent, white, black, red, blue, yellow, green, brown, yellow/green 3. Temperature Range: -60℃+200 ℃. 4. Rated voltage: 600 volts. 5. Passes ULVW-1&CSA FT1 vertical flame test. 6. Single silicone extrusion insulation to ensure easy stripping and cutting. 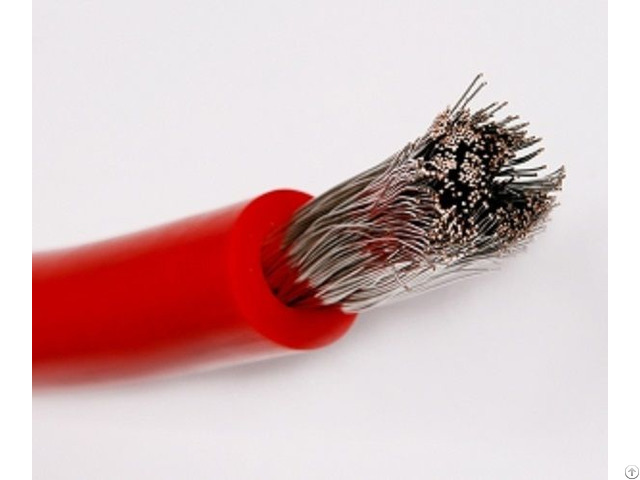 For general purpose internal wiring of electronic, appliances, motor lead, igniters, dryers, and ovens .This silicon wire gives the advantage of small diameter, good abrasion resistance, because it is a single extrusion which does not contain any fiberglass braid, which eliminates trimming of the braid.